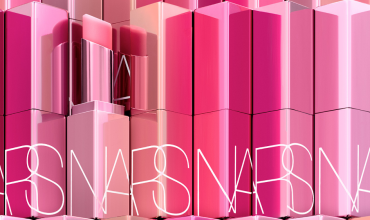 The final countdown begins to Warpaint at Professional Beauty North this weekend and make-up loving visitors have plenty to keep them occupied. Whether you’re looking for products for your kit or a new bag to carry them, airbrushes or make-up brushes: from retail to education and a make-up competition, we have it all. Read on for a run-down of some of this year’s exhibitors, and where you can find them. One of the world’s leading professional make-up suppliers, Kryolan has been creating products for over three generations. The range of over 16,000 products in 750 colour-intense shades is loved by pro artists worldwide. Ranges include award-winning Dermacolour, Supracolour and Aquacolour, alongside foundations, body make-up, SFX, HD and accessories. The Charles Fox store in London’s Covent Garden has been a pro make-up destination for over 130 years. Visit the stand for demos, products and education information. The emJ Company is the UK’s leading designer of unique kit pieces for the Make-up, Hair and Beauty worlds. Handmade in the UK, with a strong focus on providing outstanding quality, emJ create Kit bags, Brush Belts and an array of unique kit pieces especially designed for beauty professionals. Ideal for make-up, hair, beauty and creative professionals, the emJ kit bags are made from top quality faux leather with a selection of different size pockets to carry make-up brushes, combs, products and tools. proto-col is a British brand that has been producing skincare, cosmetics and nutritional products for over 10 years. Founded by a former Olympian in July 2003, proto-col believes in producing products which deliver luxury formulations, made with the best quality ingredients at affordable prices. 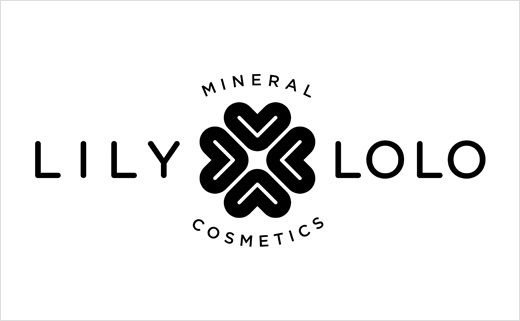 Lily Lolo is a British brand offering an expertly formulated range of high performance, high quality mineral makeup must-haves to help you achieve flawless natural beauty. Their products are free of parabens, synthetic perfumes or dyes, and they are proud to be BUAV approved. Proudly made in the USA, Mehron’s beauty products are found in the makeup kits of professional artists working on LFW, PFW, NYFW, Theatrical Productions, Movies, Special Effects and in real life on real life women with a variety of colour and coverage needs. blinc eye make-up balances beauty & performance with innovations such as the world’s first tube-forming mascara & peelable eyeliner. Whether you have sensitive eyes or an active lifestyle, blinc promises smudge-, run- and flake-proof cosmetics that deliver life-proof results. Created by former US casting director, the jane iredale mineral make-up brand was developed as a make-up that was good for the skin, after seeing actresses and models struggling with the ill-effects of the many kinds of make-up they wore. Jane’s experience in working with women whose careers depended on a clear complexion allowed her to see how skin disorders and sensitivities not only threatened careers, but also destroyed self-confidence. That’s why her mineral powders are a foundation, powder, concealer and sunscreen all in one, and why every product in the line is multi-functional. Her goal is to make products that look good, feel good and are good for the skin. Products must be easy to apply, as well, so that a woman can be her best in the shortest amount of time. 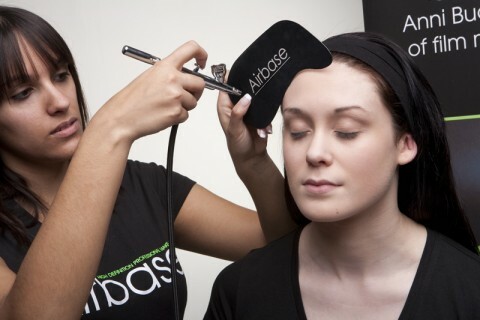 Created by Judy Naaké, the beauty guru who brought leading tanning brand St.Tropez to the UK, Airbase combines a unique mix of ingredients with silicone at the heart of its formulation. Feeling beautiful and luxurious on the skin, the silicone chosen does not clog your pores, instead allowing your skin to breathe and helping give Airbase Make-Up unrivalled durability. Beloved by TV, film, theatre and catwalk MUAs, as well as schools and colleges across the country. Germany’s number one cosmetics brand, ARTDECO is a high quality, comprehensive line of cosmetics that let you achieve a beautifully flawless look every day. ARTDECO is a popular choice amongst celebrities. Offering high-quality, classic shades, ARTDECO cosmetics offer a unique variety of makeup products that are on-trend and innovative. Bésame Cosmetics is created by cosmetics historian, Gabriela Hernandez. A luxury vintage reproduction cosmetics line, products are matched to original colours, formulas and packaging to ensure authenticity. Widely used by Hollywood make-up artists, Bésame is now strengthening partnerships with retailers and professionals in the UK and across Europe. Chelsea Beautique provides professional eye and brow essentials, for today’s modern woman. As seen in Harvey Nichols, Chelsea Beautique now supply salons and spas with an elegant display and tester range for eyebrow products and a new display for our super luxurious mink lashes. A unique treatment for the ultimate in well-groomed, highly defined eyebrows. With a firm belief in delivering only the highest quality training, the intensive 2 day HD Brows Course is focussed on teaching students the bespoke steps to create the perfect tailored brow for each client. Their comprehensive make-up range brings the same quality to the whole face, with a range of colours textures to match all skin types. GLITTER LIPS, the newest must-have beauty item, featured on This Morning, at London Fashion Weekend, and in many top UK magazines. Currently stocked in Topshop, this sparkly little find has unbelievable staying power. With up to 8hrs wear, you can drink, eat and party without losing any of your shine. Salon start-up kits are available. Helen É Cosmetics, the Make-up Sponsor of Miss England, bring you their extensive range of premium colour cosmetics. After many years of searching for straightforward, high quality make-up and frustrated by too much choice, expensive foundation mistakes and time-consuming application, Helen developed the unique skin smoother range. Their signature product is the Helen É Skin Smoother, which adapts to all skin tones and – when used with one of their great concealer products – provides a beautiful flawless finish in just a few minutes, eliminating the fuss from your make-up regime. Developed through feedback from spa/salon customers, Mii combines the finest ingredients, effortless application and comprehensive education, to ensure your clients are confident that every make-up decision will be the right one. Mii aims for your clients to have everything they need to create a look that’s uniquely, completely, unmistakably them. Tropic Skincare is a new, innovative company. All of the skincare is made fresh on a daily basis in their Surrey workshops, complemented by their Active Botanical Make Up Range. With award-winning products founded by Susan Ma, and backed by Lord Alan Sugar, it is a winning formula for success. A new company selling unique Arustino beauty products including beauty cases, make-up brushes and other items, beautycases.co.uk supply Amazon and several independent shops and colleges. Yurily Limited is proud to be recognised as a distributor of high quality make-up and cosmetics products from leading manufacturers. 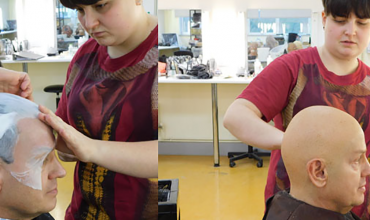 Yurily doesn’t follow fashion but directs it, bringing along with it classic and the traditional products that leading make-up artist and training academies use worldwide, together with bang-on-trends of tomorrow. Based from Blackpool in Lancashire, Ruby Cosmetics was formed in 2010 from the inspiration of owner Sophie Craig. The company specialises in the sale and promotion of its own-brand high quality cosmetics, including eyebrow make-up, lip gloss and eye-shadows. Their unique Eyebrow Make-Up – Picture Perfect Brows – uses stencils to create a perfect brow using colour combinations that are right for you. Ruby Cosmetics retails and distributes their high quality cosmetics throughout the UK through Beauty Salons and a network of energetic resellers.